Why Say YES TO TRAVEL? 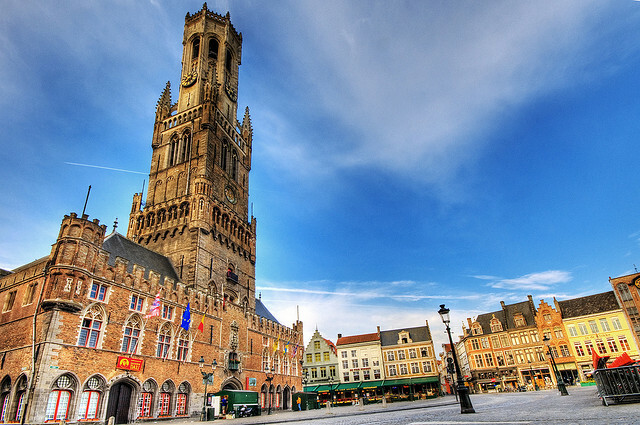 The Belfort, also commonly known as the Belfry dominates the Bruges skyline and as such provides the best 360 vantage point of the city. The 83 meter-high bell tower is the most prominent building at the Market Square. 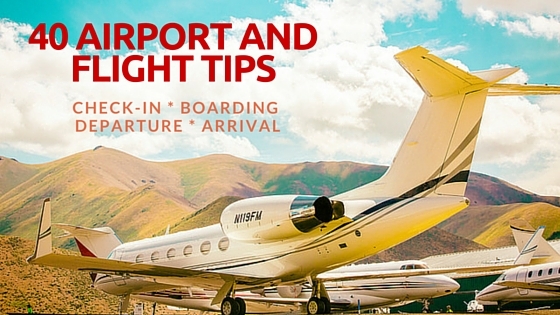 Always allow plenty of check-in time before your plane departs, especially during times of increased security. Airlines request you be there at least two hours prior to international departures. Weigh and measure your bags. 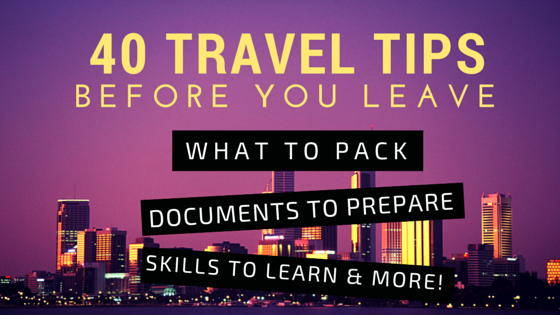 Airlines have different carry-on dimensions and maximum luggage size. 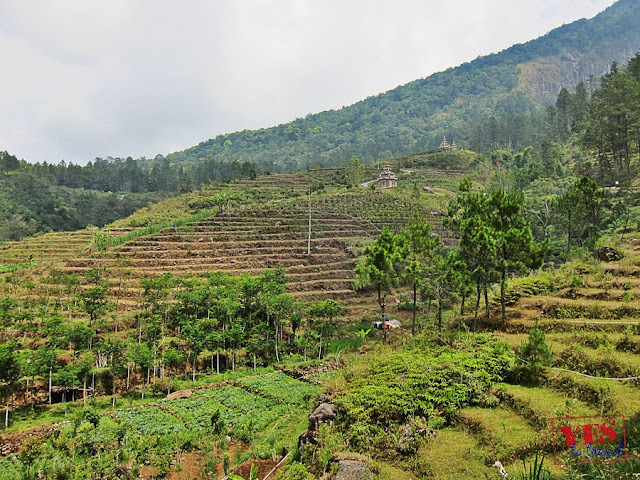 On the slopes of Mount Ungaran in the temperate climate of Java’s hilly terrain, perches several small ancient temples amid verdant hills, lush vegetable fields, and pine forest trees. It was a beautiful day, the sky was clear, the sun shone brightly and my horse 'Zen' was calm and steady. Finally, I was at Candi Gedong Songo—the hidden gem of Central Java, Indonesia. In Javanese, Candi means temple, Gedong means building, and Songo is the number nine. But Although Candi Gedong Songo directly translates to “Nine Temples”, only five temples remain intact and standing today, the rest are merely ruins. Built between 730 and 780, the temples are one of the oldest in Java. As a matter of fact, the humble Gedong Songo predates and pioneered the way for the bigger and more popular Borobudur and Prambanan temples of Yogyakarta. Malaysian cuisine is deeply rooted to the country’s extremely diverse culture and environment. It is a beautiful amalgamation of Malay, Chinese and Indian influence, thus making it a truly unique Asian culinary experience. Obviously, Malaysian cuisine has a deep roster of exceptional dishes--however, if you ask Malaysians to recommend you one dish, 9 out 10 people would most likely say it’s the Nasi Lemak. Nasi Lemak is a popular dish in Southeast Asia. Malaysians consider it their national dish and everyone else considers it delicious. 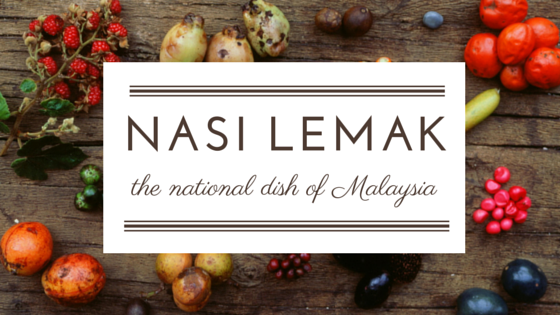 The word Nasi Lemak literally translates to ‘’rice in cream” which is derived from the way the rice is soaked and cooked in coconut milk and pandan leaves. No trip to Berlin is complete without seeing the historical Brandenburg Gate. It used to be a reminder of the turbulent history of the Cold war that divided Berlin. 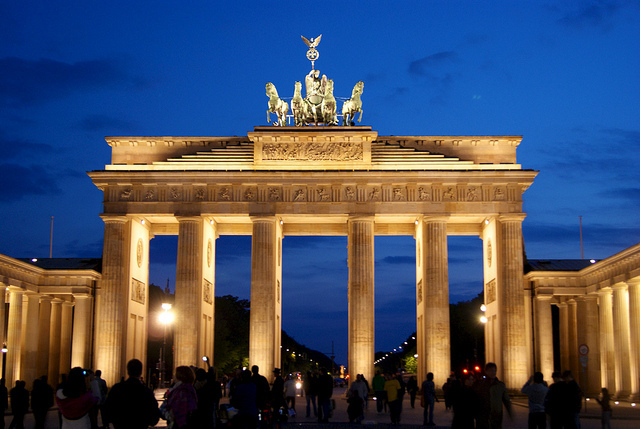 Today, the Brandenburg Gate is celebrated as a symbol of peace and reunification. Some countries are strict with passport expiration. To be safe, make sure that your passport is valid for at least 6 months on the date of your exit. Know if you must obtain a visa on countries you plan to visit. Allow plenty of time for applying. Find out what immunizations you may need two months before your departure. Read about your destination before going there… not while you’re there. When buying a suitcase, consider getting a 4-wheeled spinner luggage . It's easy to maneuver and it stands upright at all times. Attempt to pack light. If you don’t believe you will use it…don’t bring it along. 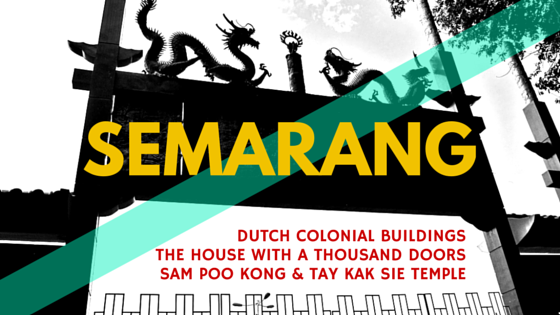 Semarang is a Dutch colonial town situated in the northern coast of Indonesia. 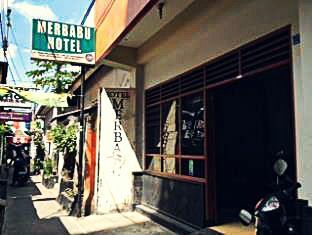 With a population of 2 million people, it is the largest city and the capital of Central Java. Obviously, it is not a popular getaway for tourists looking for adventure and excitement. 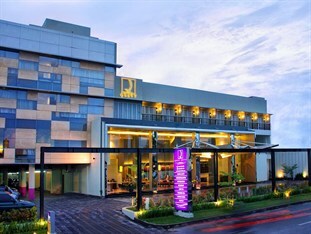 And I must admit that judging on my ride from the Achmad Yani Airport to Quest Hotel, I easily dismissed Semarang as a mundane provincial city with nothing much to offer. So why was I there anyway? 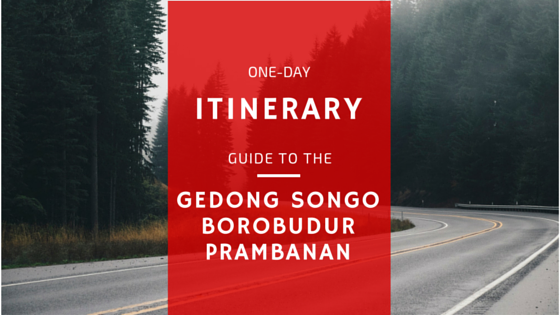 I wanted to see the Candi Gedong Songo and Semarang is the nearest city to it with an airport and railway station. I only had one day to explore Semarang before my trip to Yogyakarta and since I absolutely had no idea on where to go, I hired a driver for 25,000 rupiah to take me around town. It is common knowledge to all travellers backpacking around Southeast Asia that all roads lead to Khaosan Road. 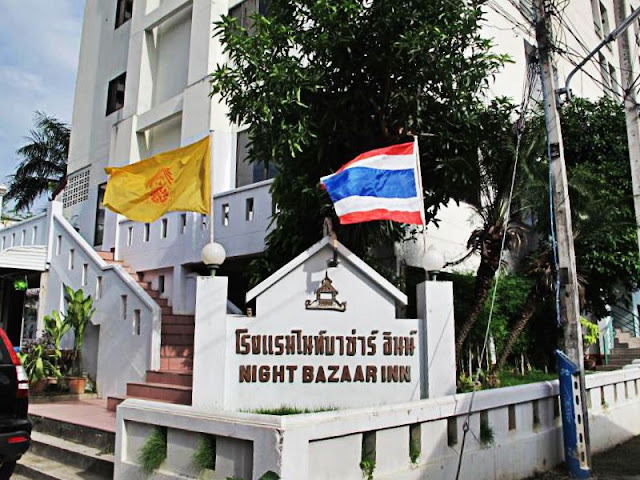 This small block located at the northern part of Rattanakosin district is perhaps the most popular and populous street in all of Bangkok. 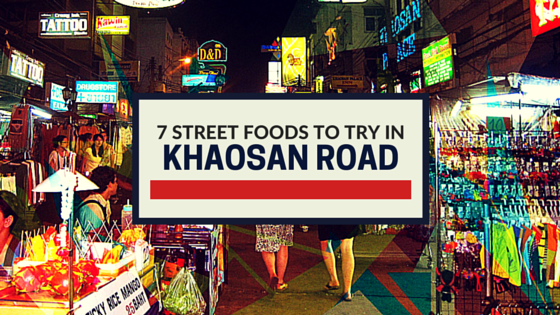 For newbie backpackers, Khaosan is your jump-off point to the rest of Southeast Asia. It is your one stop shop for tours, visa and tickets to Laos, Vietnam, Cambodia and Malaysia. The scene in Khaosan is unlike anywhere else in the world. At any given time, people from all over the globe are coming and going at an equal rate. The entire stretch of Khaosan Road is virtually an airport with everyone stuck on a long layover journey. It is for this very reason that Alex Garland—author of the bestselling novel ‘The Beach’--nicknamed Khaosan “The backpacker’s purgatory”. Despite of it all, there is assurance that beyond all the chaos and novelty surrounding Khaosan, the numerous food stalls remain to be truly authentic Thai. 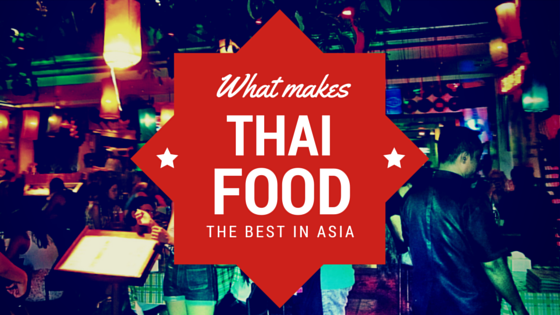 It is a good place to get acquainted with the gastronomic wonder of Thai cuisine. The Indochina backpacking circuit is probably the most well trodden trail in all of Asia. The food and accommodations are dirt cheap. The exotic paradises are aplenty and the cultures and traditions are intriguing and inviting. The Indochina trail consists of several countries sharing borders in the mainland of Southeast Asia. Countries in this region are Malaysia, Singapore, Cambodia, Laos, Vietnam and Myanmar. Naturally, meeting and chatting with backpackers from all over the globe is a regular activity all travellers do on day to day basis. Everybody has a story to tell and adventures to brag. Having met and talked to so many travellers on the road I have learned of their favourite beach spots, hiking trails and towns. With the vastness of Indochina the wide variety of answers is expected. Some travellers prefer the serene and secluded while others favour the raunchy and crowded. But no matter how laidback, exuberant, old or young they were, there was only one thing they agreed upon—that Thai food is their absolute favourite. The Sagrada Familia is the last great work of surrealist architect Antoni Gaudi. It is a testament to his visionary genius and distinctive style that is way ahead of his time and generation. A world renown architectural jewel, Sagrada Familia is utterly phenomenal and truly one of a kind. You will never see such complex work of art anywhere else in the world. Antonio Gaudi worked on this masterpiece for roughly 40 years but never finished. The Sagrada Familia has been under construction for over 100 years and is not nearly closed to being done. 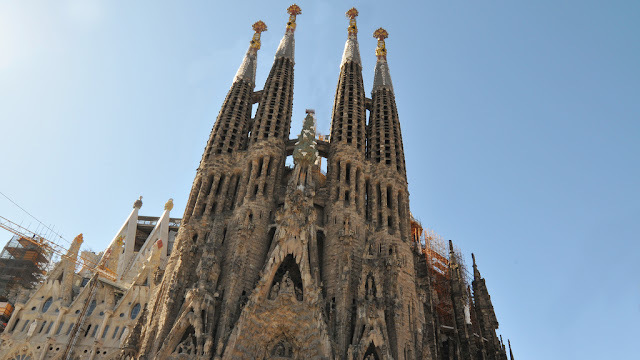 It is projected to be completed by year 2026 to commemorate Gaudi's 100th death anniversary. Safari World is located at Min Buri, just 35 kilometers north of Bangkok and approximately 45 minute drive from the city. How to get there: Given the distance involved, a taxi is recommended. However if you prefer a public transportation, take the bus no. 26 at Victory Monument to get to Kilometer 9 of Ram Indra Road. 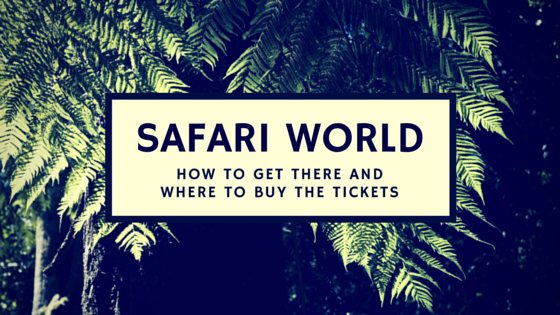 You can take the mini-bus to Safari World from there. There are no shortage of must-visit mountains and temples in Central Java. Among them are the UNESCO heritage sites, Borobudur and Prambanan. The most popular way to see these temples is from Yogyakarta which is a lively city rich in tradition and cultural heritage. I on the other hand went to Semarang, a city four hours away north of Yogyakarta, to see another historic yet often overlooked site--the Candi Gedong Songo. Instead of going there from Yogyakarta and do a full circuit trip, I mapped out an itinerary that would take me to these special places in the most practical way possible. 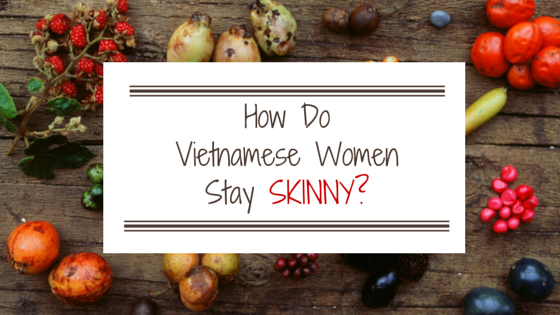 How Do Vietnamese Women Stay Skinny? It is a universal truth that Eastern Asian people are naturally smaller and thinner than the rest of the world. In a region where rice is the staple food and eaten three times a day, one would consider it unfair that Asians seem to maintain their slim figure throughout their old age. It is a common belief that Asians in general are simply genetically gifted being able to stay slim their entire lives without having to diet or log hours in the gym. Jealous yet? Don’t be, this popular belief is just a myth. Your genetics or ethnicity will not keep you from being fat. Your choice of food and lifestyle does. Asians today are far different than they were before. Countries such as Malaysia, Thailand and the Philippines have adapted and fully embrace the Western way of cooking and eating fast food. The abundance of international food chains in these countries is spreading rapidly and unfortunately along with it—obesity and diabetes. We can all agree that it takes an enormous amount of self-control to turn down a pizza or a burger. This is why I am mightily impressed by the Vietnamese’s collective resistance against this so called convenient way of life. Vietnamese people are skinny not because they are Asians and born that way. They are skinny because of how they live their lives. Here are 7 things that Vietnamese people do that keep them healthy and looking young. When in Athens, the Acropolis is simply inescapable. You can see it from almost every corner of the town. The word Acropolis means ‘high city--but often it is referred to as the ‘Sacred Rock’. 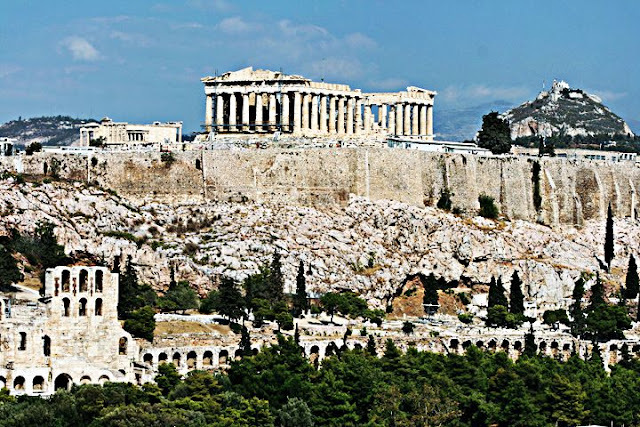 The Acropolis is a citadel perched on top of the hill that exemplifies the ancient Greek architecture. On the sacred rock, you will see the ruins of the most significant monuments from the 5th century. The Parthenon, the Propylaea, the Erechtheum and the temple of Athena are just among the notable masterpieces clustered above it. Truly, the Acropolis is a great testament to the pioneers of Western civilization. It is one of the ancient wonders you need to see once in your lifetime.